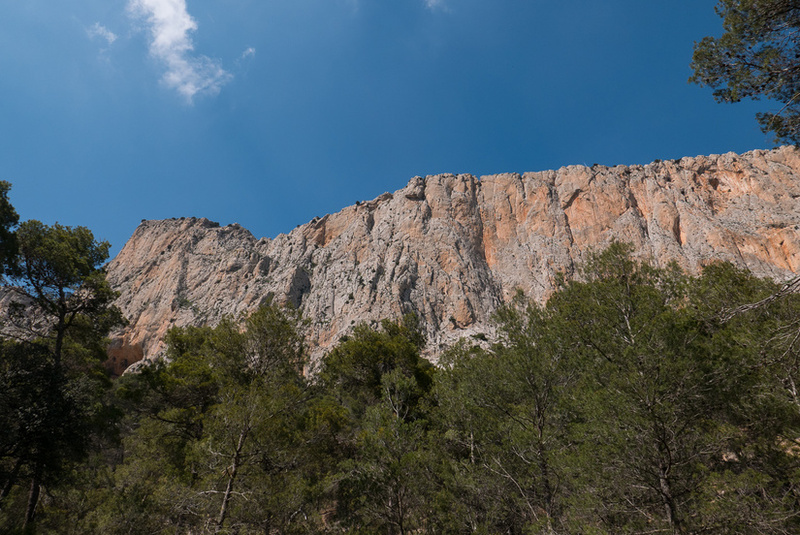 While there is lots of excellent single pitch sport routes in the Costa Blanca, it is also an excellent destination for bolted multi pitch. 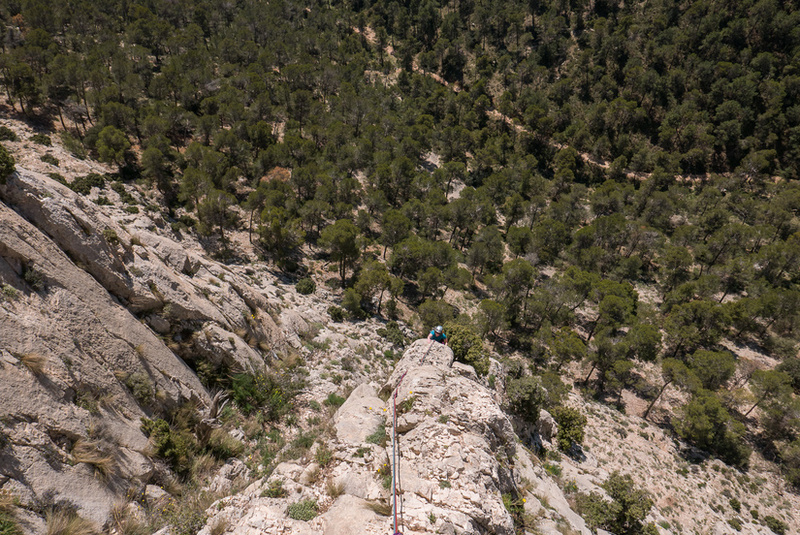 This year we didn’t climb as many multi pitch routes when compared to last year, but the quality of the routes that we did climb was excellent. 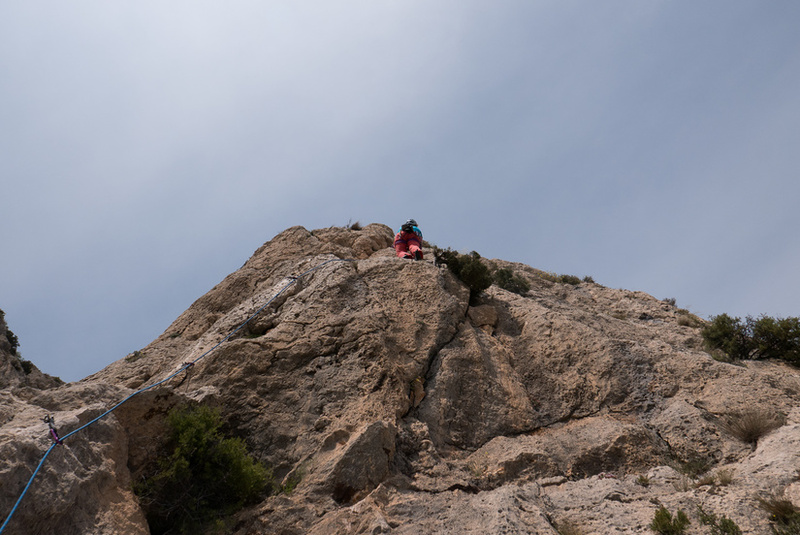 After landing at Alicante we headed down south to Leyva, which is a spectacular mountain crag above a forrest filled valley. 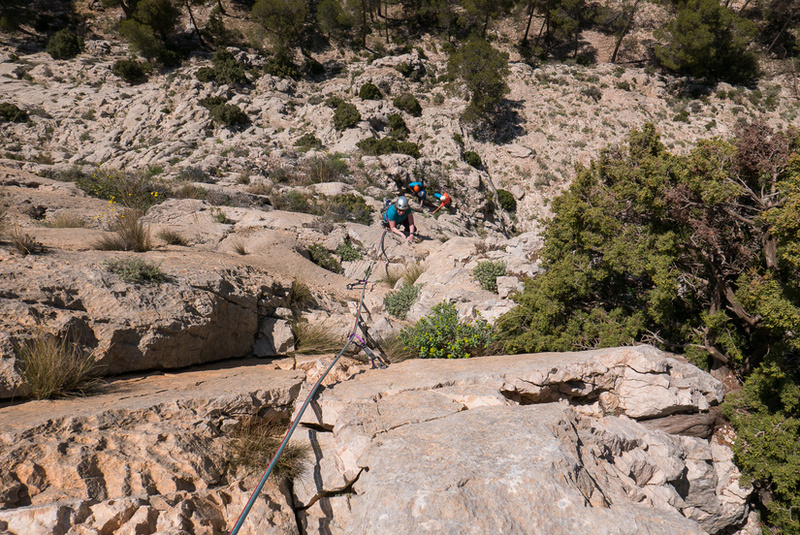 It is more famous for some of the harder routes, but there is an excellent mid grade route called Carillo-Cantabella. 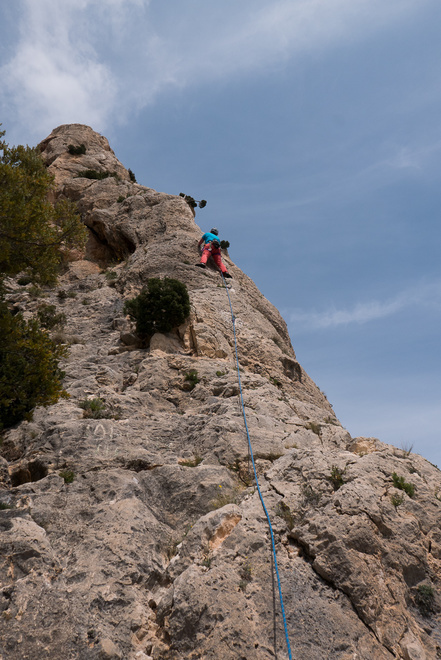 It is a five pitch f5+ with two pitches of f5+ and the rest being slightly easier. 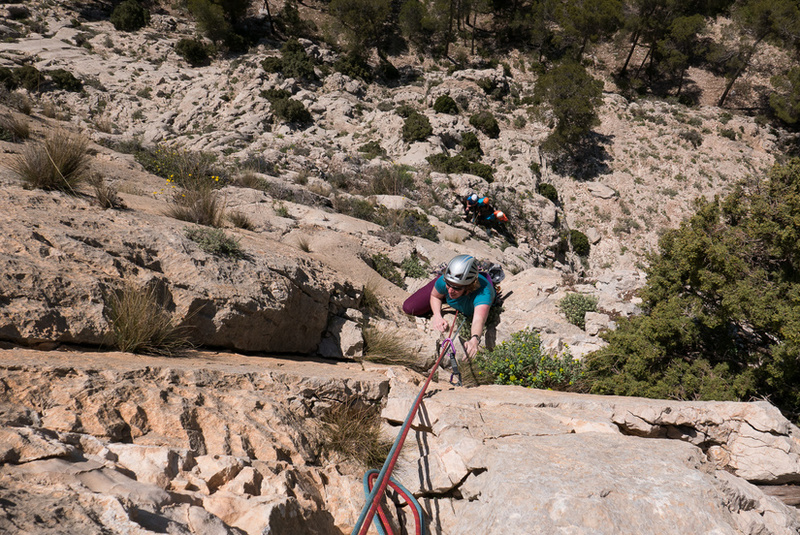 The bolting on the route was excellent, and the climbing was interesting with a technical sequence though the crux and un unexpected steep corner at the finish. 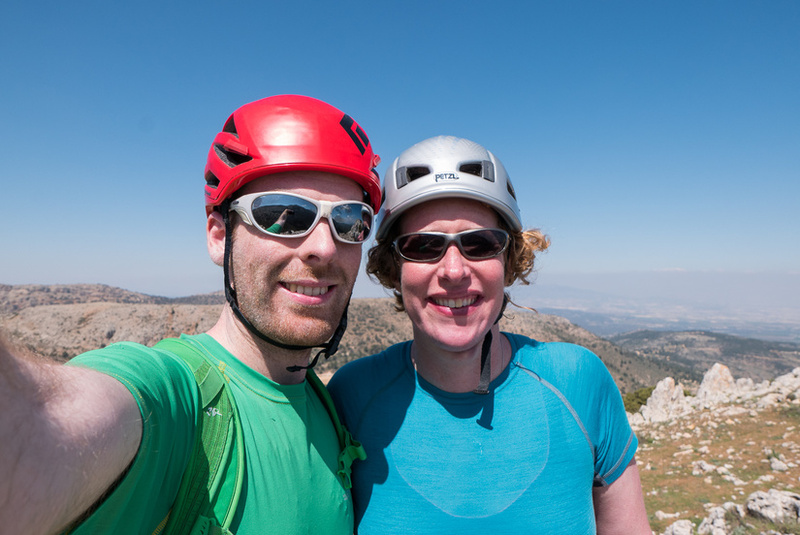 On the last day of the trip we headed to Marin which is 45mins away from Alicante airport. 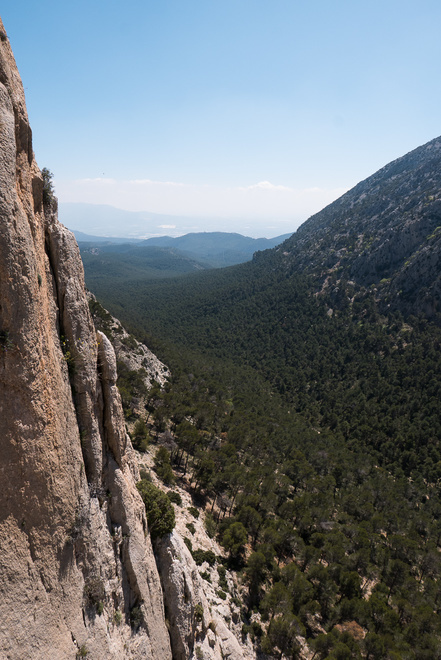 This was an excellent destination for quality lower grade short multi pitch routes, as the crag had a plentiful supply of 2 pitch bolted routes between f4 and f6a. 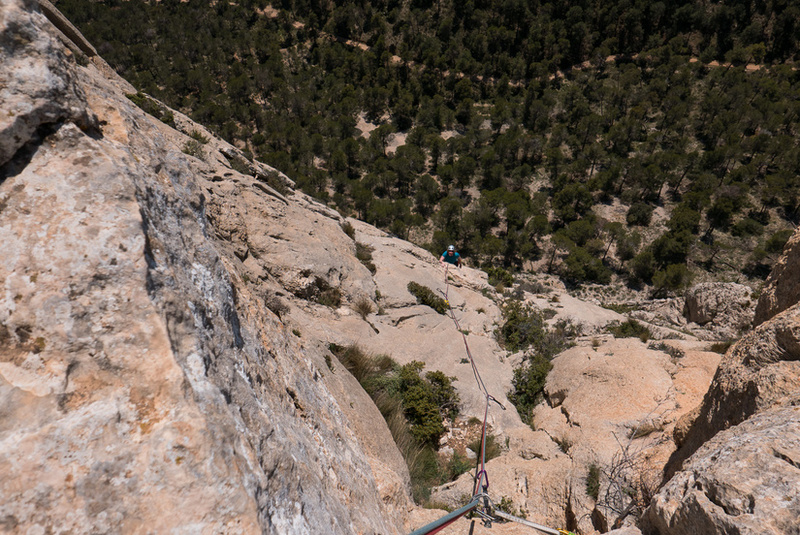 We climbed the class f4 Jhony, which climbed an exposed arete and was mostly unpolished and contained some excellent climbing, and then we climbed another route in the same are called Prats which was f4+ which had some surprising climbing for the grade.